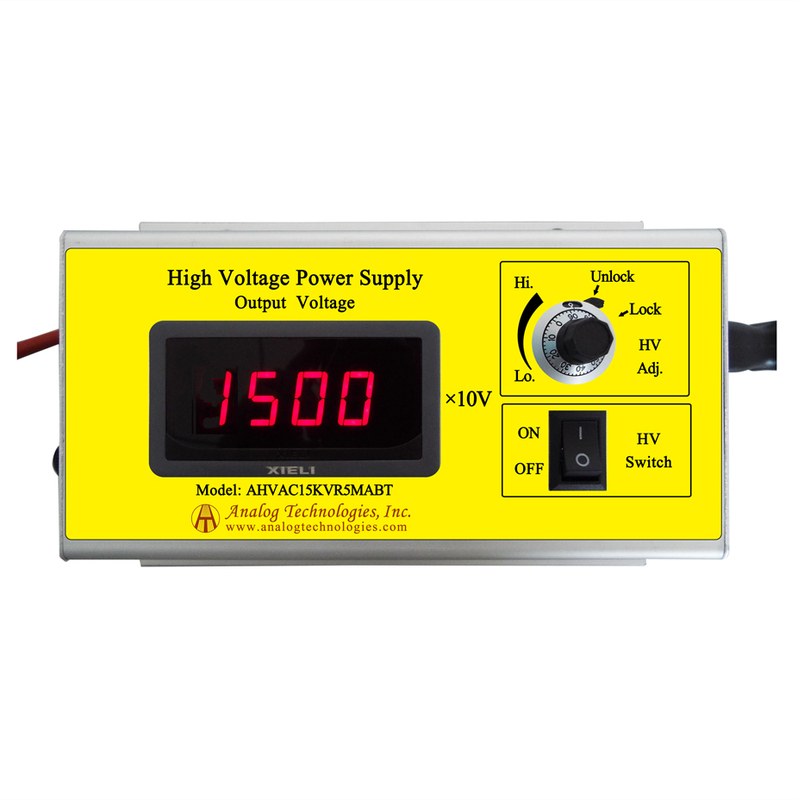 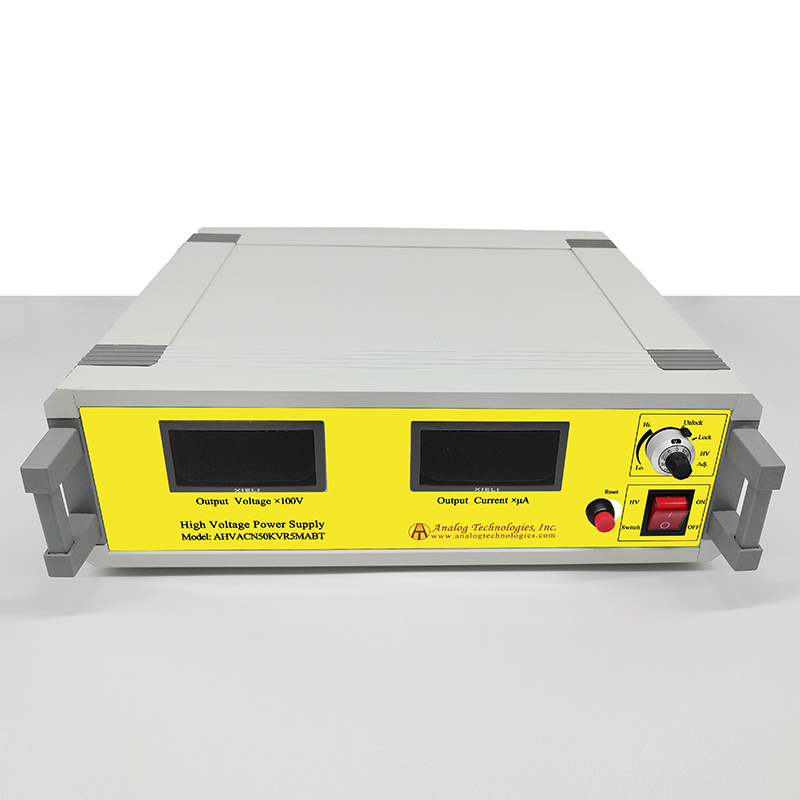 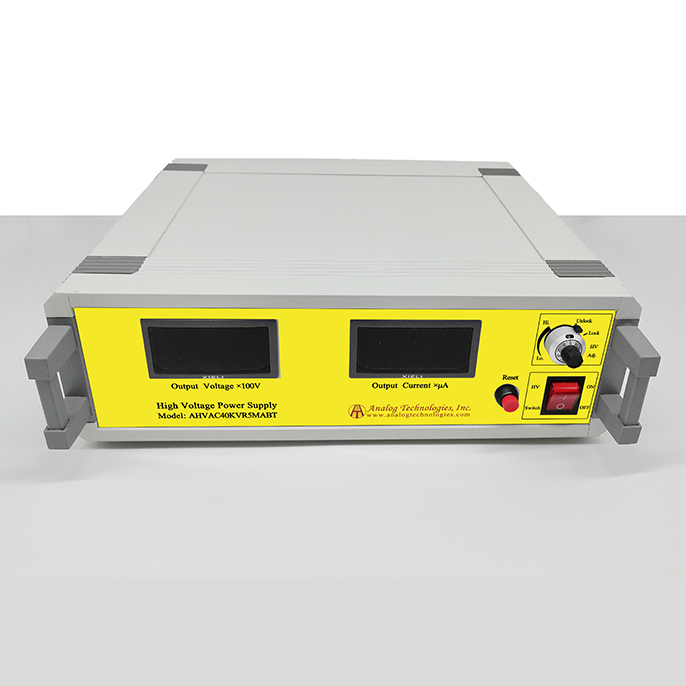 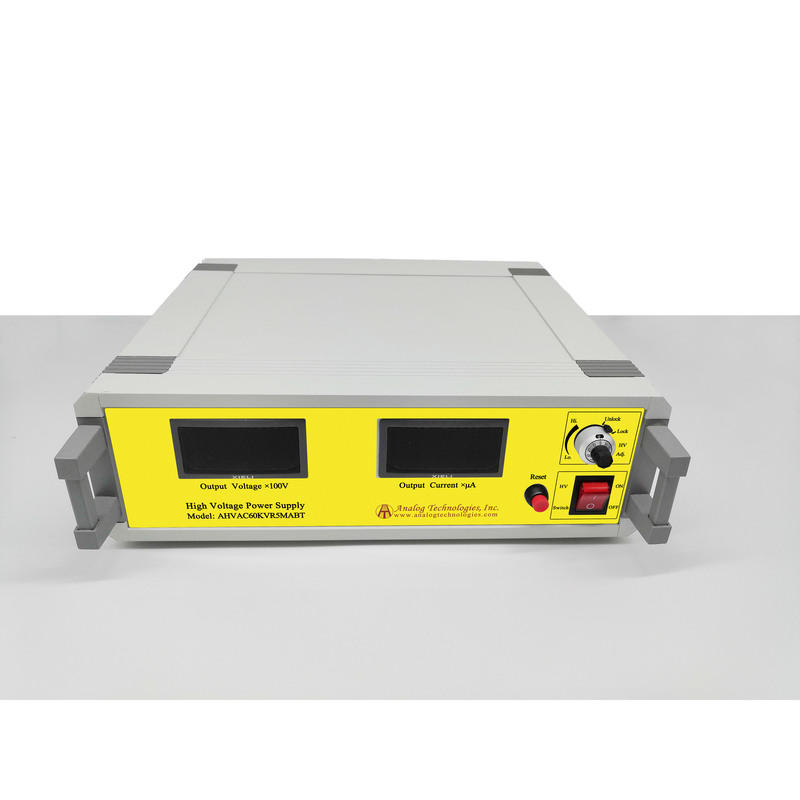 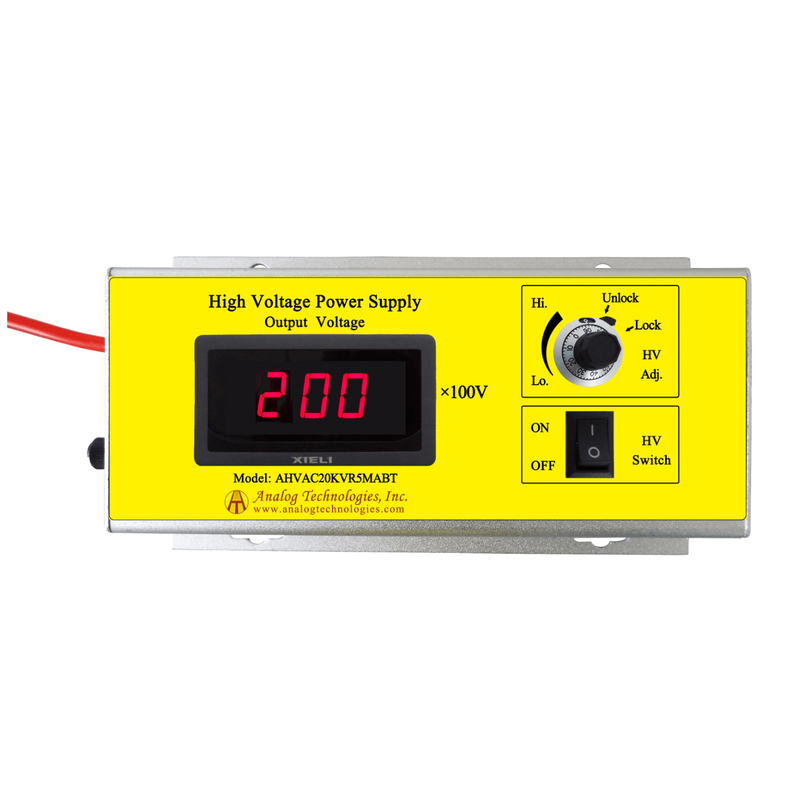 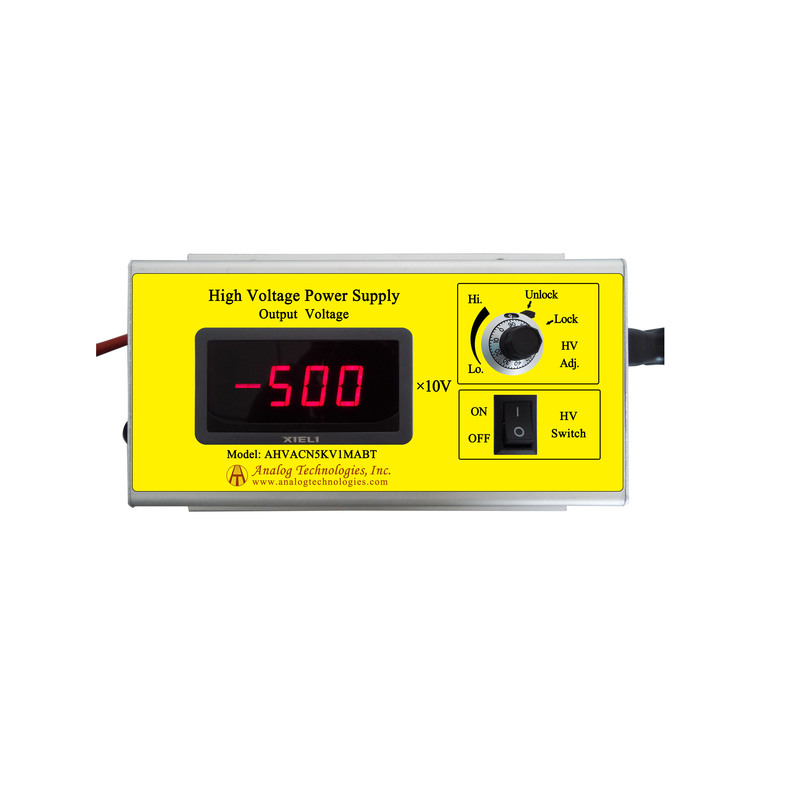 High Voltage Power Supply | High Voltage Supply Selection Guide - Analog Technologies, Inc.
Connect AC 100~240V input, and then power on. When the potentiometer is in “0”, open the high voltage switch, and then adjust the potentiometer clockwise. 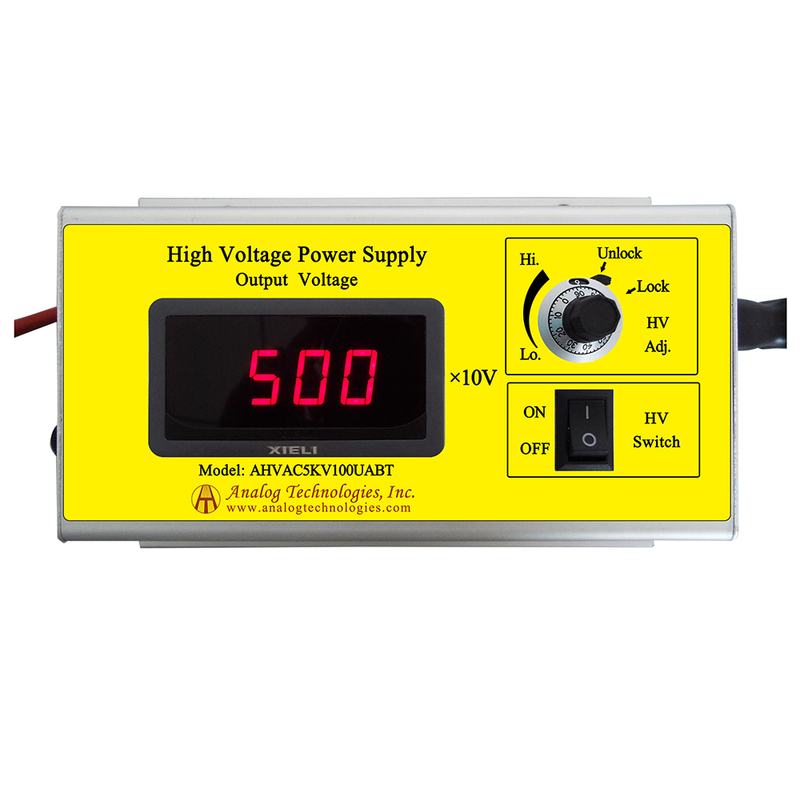 Observe the digital display readings, and high voltage power supply output voltage = the reading × 10V. 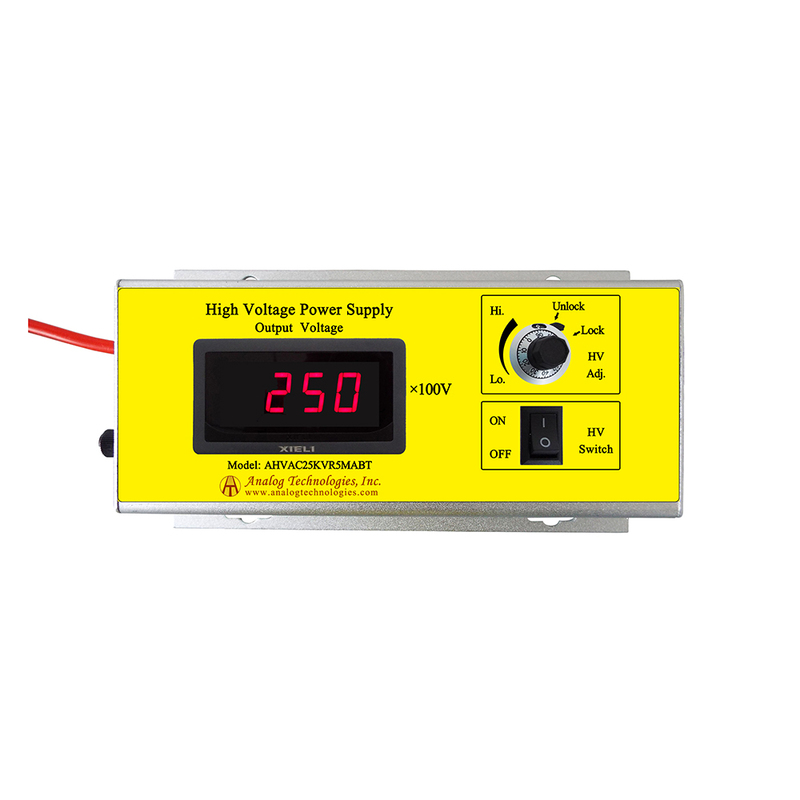 When the required voltage is achieved, then rotate the potentiometer lock clockwise to lock the potentiometer. This prevents the output voltage changes caused by rotating the potentiometer by accident. 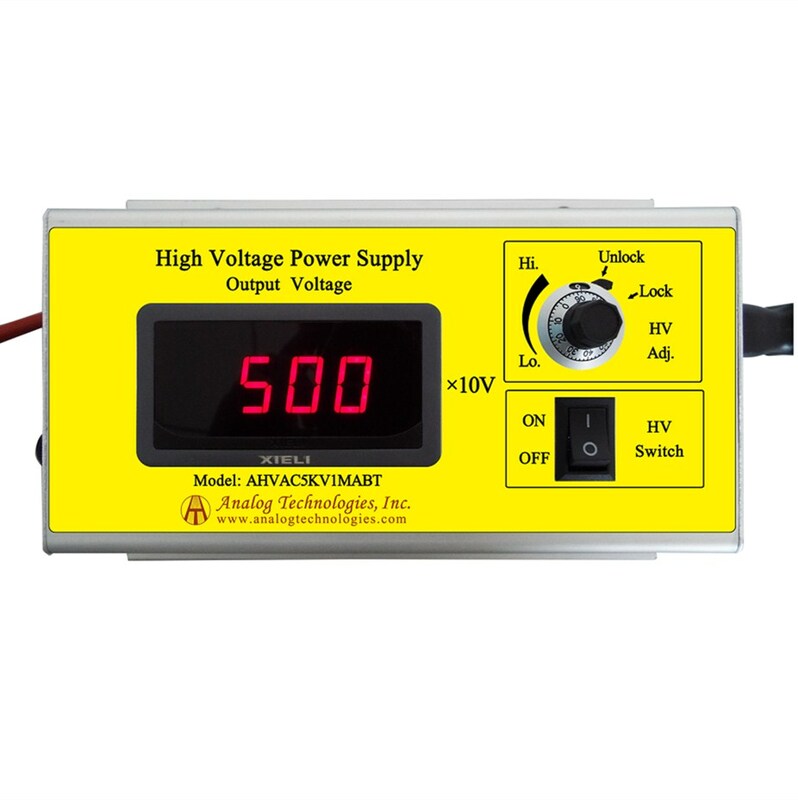 High voltage connection wire is used for high voltage output. 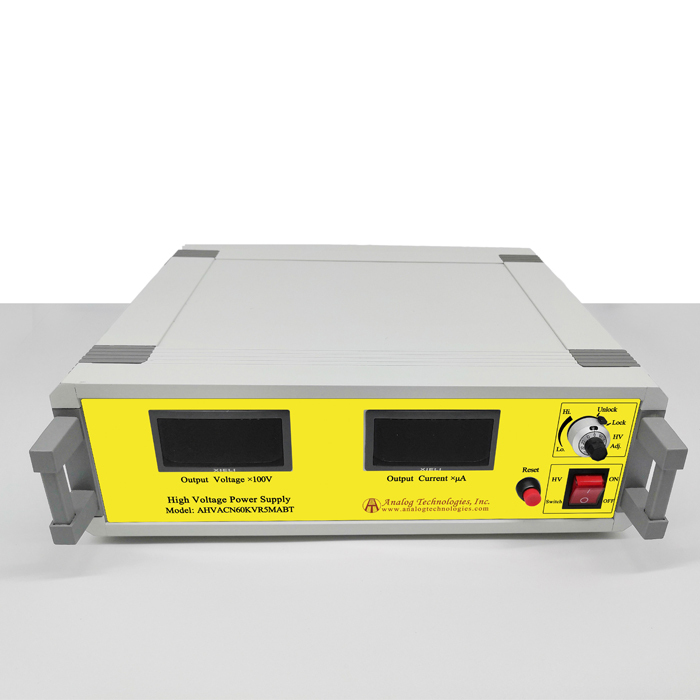 We can design and manufacture customized products based on customers' requirements. 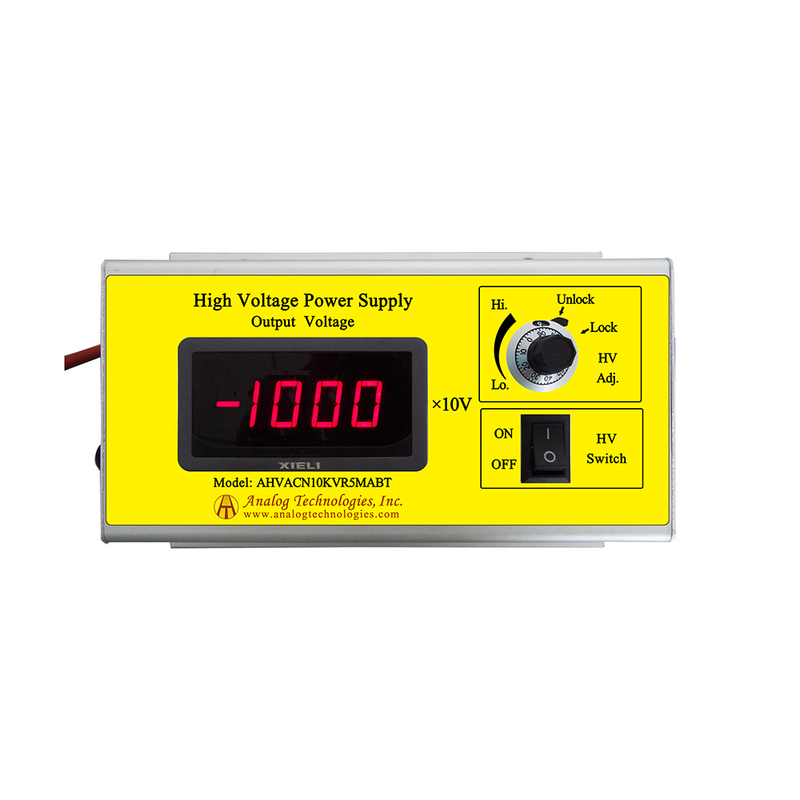 Selection Guide for AC-DC High Voltage Power Supply.